Our modern lifestyle generates astonishing amounts of waste, and more and more consumers are starting to care. As chains like Starbucks vow to eliminate straws and local governments experiment with trash regulations, the demand for eco-friendly everything is surging. This includes eco-friendly packaging! Research indicates that shoppers want to purchase products with packaging that is less likely to end up in a landfill. If you play a role in the manufacturing or product packaging industry, this is definitely a trend you want to explore. Facing pressure from environmentalists, concerned citizens, and special interest groups, more governments are starting to follow California’s lead by banning plastic bags, plastic straws, and other wasteful items. Some regulations require certain levels of recycling and waste reduction. Eco-friendly packaging makes it much easier to follow these sustainability guidelines and laws. For example, renewable raw material like cellulose nanocrystals provide transparent, nontoxic, and efficient food packaging covers without putting the environment at risk. As more consumers become aware of their real ecological footprints, they want to minimize their impact on the Earth by purchasing products packaged with eco-friendly materials. Instead of one-use plastic water bottles or four layers of cardboard, consumers want to see thin-wall plastic containers, PET bottles, brick liquid cartons, and other techniques. By seeking eco-friendly packaging and products, consumers can still enjoy the tastes they want without sacrificing convenience or feeling guilty. 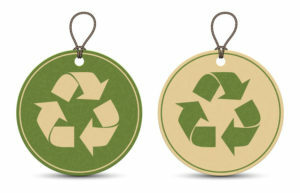 Above all, the term “eco-friendly” is a trendy, attention-getting phrase that attracts new consumers and boosts brand reputation. More people intrinsically understand that styrofoam and other wasteful materials should be avoided, so they turn to unique packaging solutions like material made from recycled burlap bags or recycled corrugated cardboard. For help mastering your own packaging, call (781) 986-7500 to speak with an Econocorp expert. ← What Is Child Resistant Packaging?